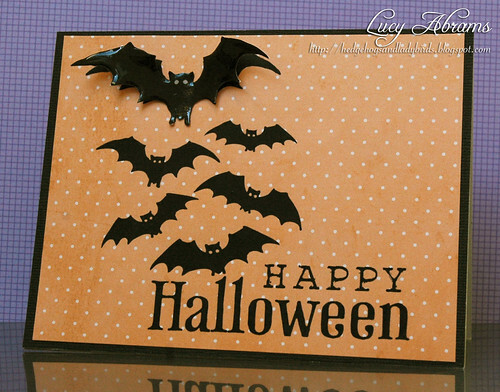 I don't really celebrate Halloween... but I couldn't resist making just one card with this cute new digikit from Hero Arts, Going Batty. 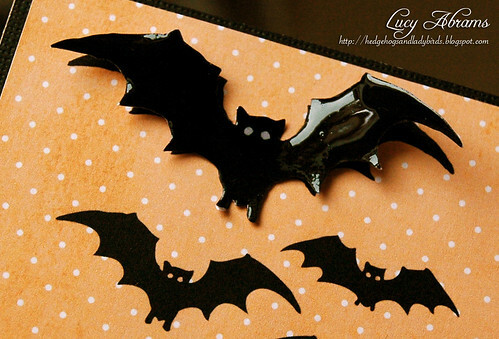 I do love those funny bats... especially covered with Glossy Accents. :) All the stamps are from the kit, as is the distressed orange paper. I just added some Polky Dots on top. That big bat looks so cool, Lucy! Fun Halloween card! Awesome! That glossy accents works magic! Oh, the top bat popping off the page it awesome! gorgeous Lucy. That large bat looks so scary! So Perfectly CUTE Love this Lucy!! !